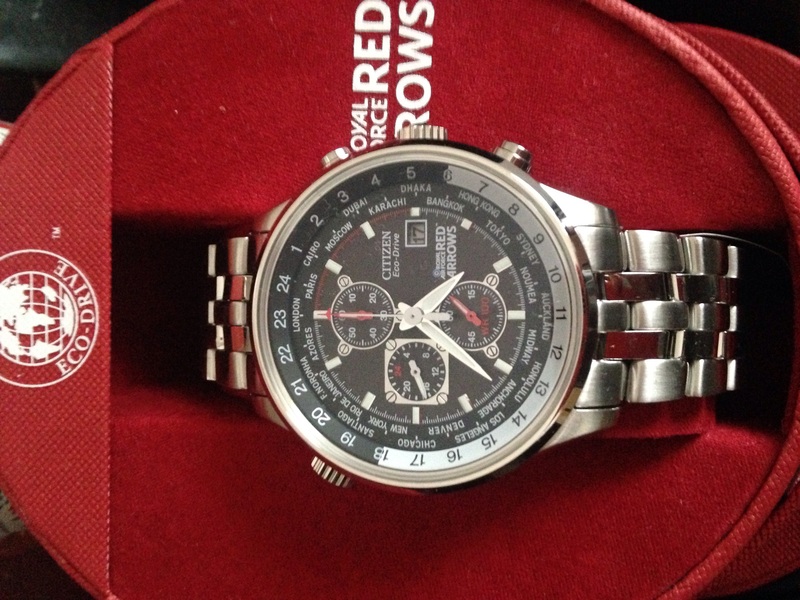 Chunky Citizen Red Arrows World Time watch in stainless steel. This intelligent time piece features 1/5 second chronograph, world time in 24 cities, 12.24 hour time, screw-back case and movement calibre: B612. It also has date function and is powered by Eco-Drive movement. The round black dial has high-visibility baton hour markers and hands which light up in the dark, red touches and date function. 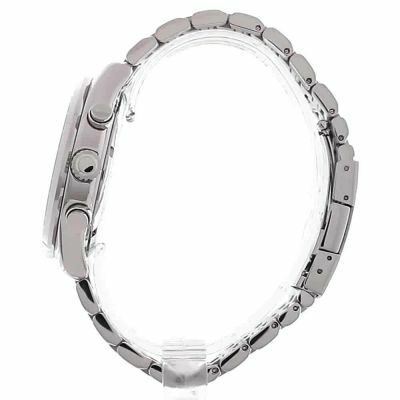 It's 100 meter water resistant and fastens with a silver metal bracelet. I bought this for my sons18th Birthday and needless to say he loved it. Excellent quality and looks great. 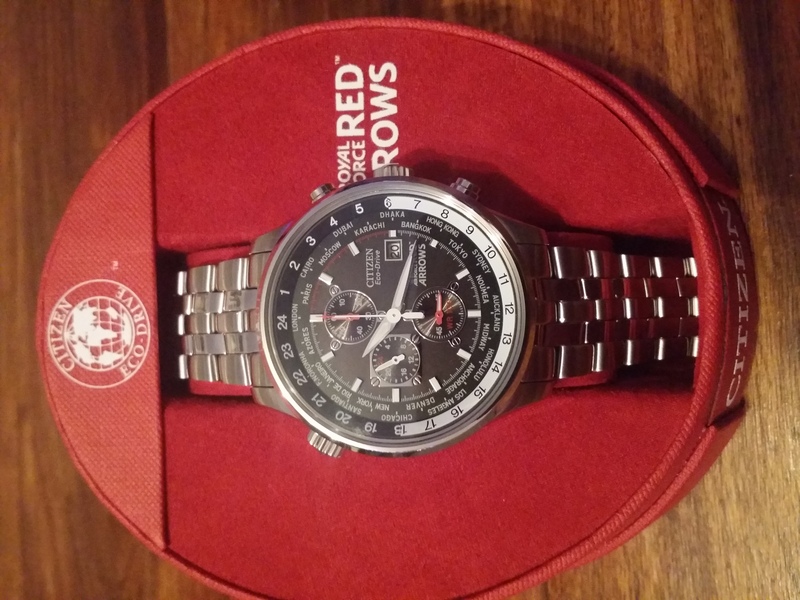 Having spent a considerable amount of time looking for a replacement for my 17-year old Casio watch, I have chosen to buy Citizen Red Arrows World Time watch. Ive had it for about 10 days now and I love it. This watch has a large black dial protected by a mineral glass, white hour markers and white hour/minute hands with chrome edges. There are three additional mini-dials - top one shows elapsed minutes counted by the stopwatch, left one is a 24-hour hour indication and the bottom one shows the seconds of the current minute. In keeping with the Red Arrows theme, these mini-dials are designed to resemble instruments on an aircraft control panel, while the large second hand used by the stopwatch has a tip in the shape of a tiny red jet plane. A few other elements on the dial are finished in red colour, which makes the overall appearance more vibrant, while keeping it stylish. The dial looks a little crowded at first sight and I wasnt initially certain whether this would affect the ease of checking the time. It turned out that that the stunning design does not hinder usability at all - taking time readings is effortless at all light levels. In low-light conditions secondary elements on the dial appear to fade away, making the hour markers and the main hour/minute hands stand out. The same is true in the darkness, thanks to glow-in-dark hands and markers. Date display is sat somewhat deeper into the clock dial than usual, which means that a shadow can be cast onto the date reading. This turned out not to be a problem either - its sufficient to change the angle of the watch slightly to be able to see the date clearly. This Citizen watch has a push-pull type crown that is used for adjusting the date pulled out by one click and time pulled out by two clicks. Stopwatch function is activated by the button above the crown - when pressed, the stopwatch second hand starts moving. Pressing the same button again stops the stopwatch. It is possible to resume and stop the stopwatch by pressing on the same button multiple times. The button below the crown resets the stopwatch - when pressed, the second hand slowly travels clockwise and stops at 12, while the minute hand in the top mini-dial instantly jumps back to 12. The second crown on the left-hand side of the watch is used to rotate the inner bezel labelled with the hours of the day. Names of the cities on the main watch dial remain static when this happens. This makes it easier to read out offsets between the times of day in various time zones. The Citizen Eco-Drive movement is supposed to use ambient light to recharge the battery inside the watch, meaning that the battery should last the lifetime of the watch. I have not owned an Eco-Drive watch before, but from some limited research it appears that in the unlikely case of a battery failure, it can be replaced at a reasonable cost. The watch comes with a stainless steel bracelet and has a double-press tri-fold deployment clasp. The bracelet is made up of 5 parallel bands three of them two outer ones and the one in the center have brushed finish, while the other two have polished finish. There are 8 full-sized and 2 half-sized removable links all marked by an arrow on the inner side, which can be used to adjust the length of the bracelet. Fine adjustment can be achieved by choosing the right combination of full-sized and half-sized links to remove. There is no fine adjustment option on the clasp as is sometimes available in other brands, but thanks to varying sizes of removable bracelet links this is not needed. The bracelet can be adjusted without specialist equipment by pushing out the pins, holding the removable links, in the direction shown by the arrow. Locking mechanism in the clasp is removable, so can be taken out for cleaning, repairs or replacement. It is worth pointing out that this model CA0080-54E has a sister model CA0080-03E which has an identical watch but has a different bracelet: a black leather bracelet with red stitching. In my view, the leather bracelet seems to complete the appearance of the watch better, but a stainless steel one is more practical. 135g - with two full-sized links removed. + Appears to have a good quality movement - both second hands hit the markers exactly. - If worn on the left hand, buttons for starting / stopping / resetting stopwatch can be pressed inadvertently when placing the hand into the pocket. 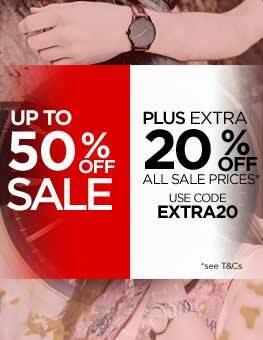 Brilliant value for money watch and great customer service. Received watch in excellent condition well packaged and received within given delivery time. Watch purchased as an xmas present for my son and looks amazing in the red arrows presentation packaging. One happy bunny come xmas morning I am sure. I have never purchased anything on line so I was reluctant to spend a large amount of money on once item on line, But I could not have been more wrong, the service was very easy, the payment went through with no hitch and delivery was very fast, also the tracking service was brilliant, the item purchased is of a better quality I would have ever imagined and the gift box it came in was a lovely bonus. I would defiantly recommend this site and if I ever need any future purchases I would return. I would say this is a five star service. The only thing I found being a problem is having to wait to give this gift to my husband as a present for Christmas!! This product is impressive in its style and overall weight. The face immediately stands out but its not too overpowering. The Red Arrows theme gives the watch a sleek edge and all the colours run smoothly together. This product could have extra links with it in case of future damaged however this is only a small minor complaint. Very happy with the product. I had no problem ordering the watch from the website, it was really easy and efficient. My conformation E-mail came immediately, and payment was taken quickly also. I did have a problem, when I didnt receive my E-mail for confirming that the watch had been delivered into my click and collect destination, but once I raised this with the Watch Shops customer services team, this was sorted quickly and to a satisfactory result, thanks Tom. In all, even with the small issue that arose, I would recommend the Watch shop to others, and I would certainly use them again. Brilliant quality, brilliant service and delivery! Beautiful looking watch, the weight of it is good too. Can not wait to give it to my partner for Xmas. The Citizen Red Arrows watches are fantastic. This is the second one I have purchased. The quality is fantastic, they look superb and are functional. I purchased this one due to the world time function, as I was going to New York. The price I paid on Black Friday was a steal, and the delivery was as promised. Excellent setvice. And great value for money. 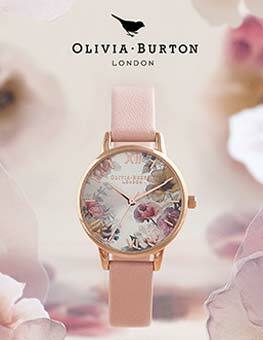 This collectible, limited edition, stylish watch is attractive and very practical with its multi-dials. The reverse of the watch has a hidden red arrows logo which makes this extra special. The Citizen eco - dial timepieces are good to look at and will be noticed wherever you go. Packaged in a sturdy red arrows box with 5 year quarantee.No more flat batteries to replace either just needs access to light! Good looking watch. Husband very pleased with it. Prompt delivery. Excellently presented in a presentation box. Lovely finish to the watch with excellent attention to detail. Worth every penny I spent. Multiple watch owner from various brands and very pleased to add to collection. Top class service, the whole transaction was faultless. The watch was everything I expected, it is easy to use, easy to read and adjusting the wrist band to the correct size is easy. I ordered this watch for my partners 40th Birthday.... I wanted a well made watch from a good reputable watch maker and this doesnt disappoint. 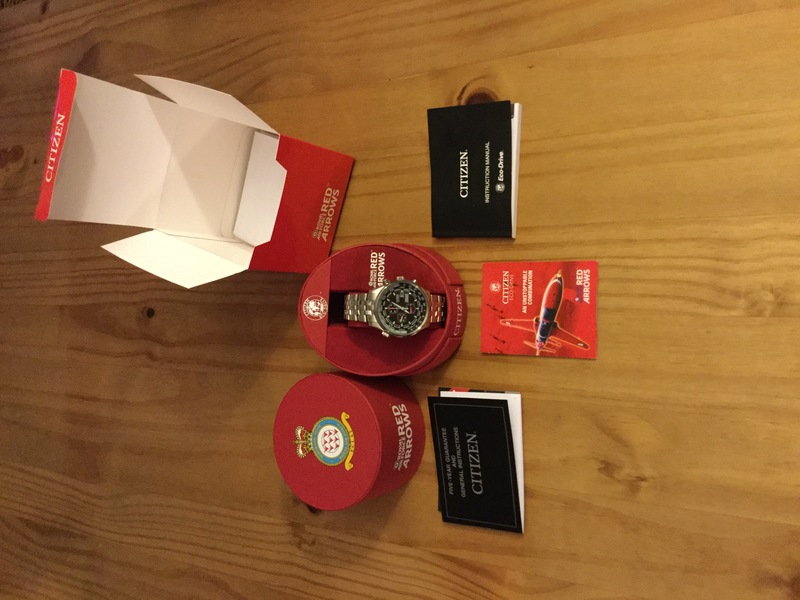 It arrived in a nice red presentation box and the watch itself was just perfect for my husband. This watch was in the lower price range of similar Citizen watches although you really cannot tell. It is well made and the eco drive feature means that it will never need a battery replacing. On ordering I was a little sceptical about the red arrows branding on the watch.... Would it be a bit tacky....well it really isnt. The red arrows logo is displayed on the presentation box and the underside of the watch face but does not infringe on the watch itself. This watch comes with many features, water resistance, global times etc but to be honest, my husband will probably only use the time and chronograph second hand. A fantastic, good looking watch and a great present for a special birthday. good looking watch that comes in a impressive box. Large strap, so the gentleman who I gave this too will need to get the strap altered. The recipient was very impressed with this as a gift. Lovely looking watch, very smart, easy to set up couldnt be happier. 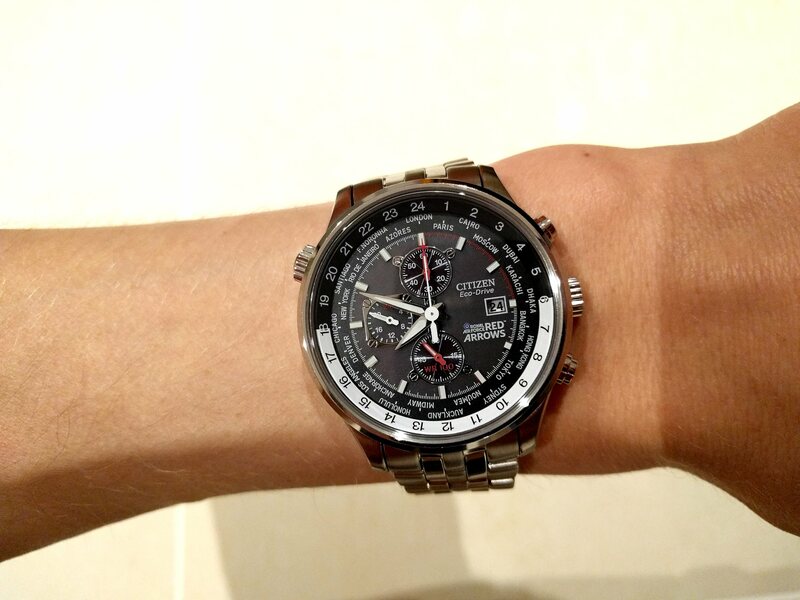 Always preferred Citizen Eco-Drive watches, this one in particular, very nice feel to it when you have it on your wrist! Highly recommend. A nice looking watch. Easy to set up and use. Like the fact that it never needs a battery change. Rotating inner bezel tells the time around the world. Also a chronograph which is also easy to use. Came in a good box well detailed. Excellent watch, to coin a phrase it does exactly what it says on the tin. Nice easy to read displays, the night light features on the face and hands make it equally easy to tell the time during the night. Havent yet found anything to criticise. From the moment I opened the box what struck me was how expensive looking it looked,more than the price I paid.The weight and feel of the watch shouted to me top quality and the design just says wear me with pride.The build quality and attention to detail is what I look in a top quality watch.Being a special adition red arrows watch made it the icing on the cake,the little Red arrow shape that is the stop watch hand movement is just fantastic.A truly show stopper of a watch for an amazing price..highly recommend to anyone. 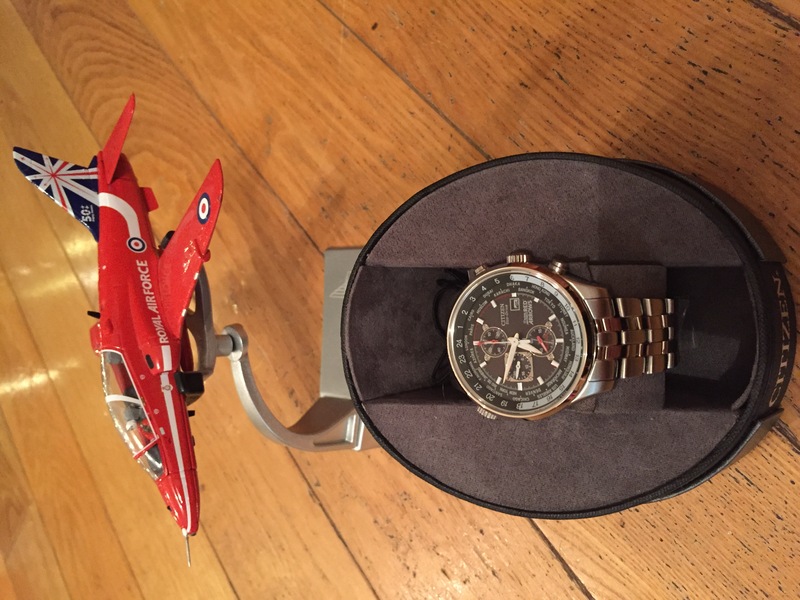 Im an aviation enthusiast and huge Red Arrows fan so this watch was the perfect gift for me. The watch like the Reds screams quality and precision. The red and black touches give a very subtle and pleasing appearance. It is a large face but it looks very neat and not overpowering. The watch has gathered many positive comments when I wear it. 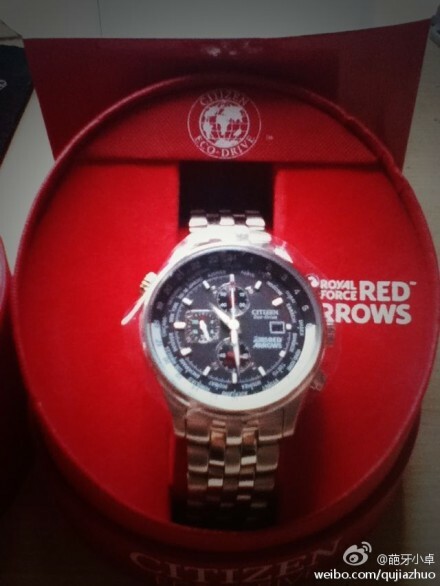 As a Reds fan it was a must have and a watch Im proud to own. As always from Watchshop a superb time piece and first class service, Ill be back. For the money this is a lovely looking watch,looks a lot more expensive than it actually is. 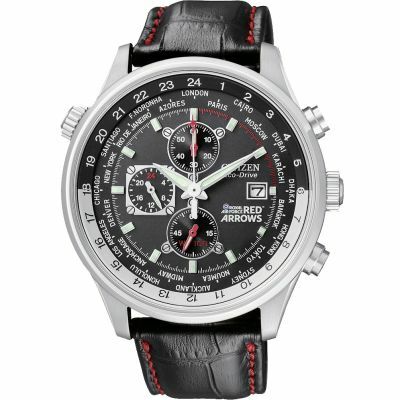 If you cant afford the more expensive red arrows citizen Eco drive watches,you wont be disappointed with this purchase. The watch also comes with a nice chunky stainless steel strap and has the red arrows insignia on the case back. It is also suitable for the shower and swimming with water resistance of up to 100metres. Had mine delvered to my local goldsmiths store,who altered the strap free of charge,so very happy all round. The watch arrived the next day and I was kept informed of its delivery. The watch looks more expensive than it actually is. All in all, very happy. Very pleased with the watch, received the day after purchase online. I brought the watch for my brothers 40th birthday, the delivery was amazing i got the watch the next day. Bought this watch as a gift for myself. It took me a long time to make a decision, but Im so glad I chose this watch. The dial is perfect size, in my opinion a lot of watches are too bulky nowadays but this is just right. The watch has a nice weight to it and a good range of adjustment to get the right fit. I wondered myself before purchase what the knob on the top left does, to satisfy everyones curiosity it adjusts the dial around the outside for the world time. I also like the little red arrow on the hand for stopwatch function. All in all Im very pleased with the product. Excellent service and delivered on time as promised. Purchased this watch for my husband,he was delighted with it and all the features it has. The watch is lovely its got a bit of red detail in the face looks expensive very happy. The service was excellent. I was kept informed via email throughout the process. The product was genuine and I am very happy with the product and delivery time. The watch itself is very good value for money. I would recommend Watchshop everyone! Great design, great price. Ive had more expensive watches in the past, but I prefer this one. Really like the design, the red hands on black background and the brushed steel strap. Never going to use the functions, but ultimately its all about how it looks and this looks and feels perfect. No batteries as solar powered. Arrives in Red Arrows presentation box. Amazing value. I was a bit worried about ordering a watch off line as I couldnt see it before purchase. However when the product arrived I was really pressed. The red colouring really set the watch off. The watch was in excellent condition. The only thing I thought needed improving was the box the watch arrived in. The round box was fine but the colouring and the red arrows sign on it made it look a little cheap. The watch is for a gift and I think the person receiving it is going to love it. I was really impressed with how quick the watch arrived and how easy the process was. This is a stunning watch - very fitting for an 18 year old special birthday present! The watch strap was very big though and we needed to get it fixed with 4 links removed. The presentation box is also quite special with the Red Arrows logo! Having served in the Forces and worked closely with the RAF, I feel proud to have also worked with the Red Arrows team many years ago. This handsome watch reminds me of those experiences. I am proud to wear this watch in public. Found the website, easy to use. Kept informed what was happening with my order, despatch and arrive on time. The website was clear with all information about the products - bracket adjustment was spot on. My partner tried out and fit perfectly. Would recommend the site, service and delivery to friends and family. Vouchers are also a bonus. Excellent watch. Very Good quality from Citizen! Good service from Watchshop too! The watch was just as described. A. Great looking watch on the wrist with the advantage of the eco drive. It has the features of date plus stop watch and world time all in a well built good looking watch. Very clear to read and elegant and sharp, a must have. I like the details on the dial. I purchased this watch as a birthday gift for my partner, I was looking for a watch at a lower price than this, but after spoting this watch I had to get it! My partner loves it and hasnt stopped showing it off. Looks great and easy to use functions. It is a stunning watch and with the added bonus of the red-arrows logo. Was definitely worth spending the extra money. The watch proved a great success. It was at least as good as the picture and information with reality being even better as the bezel did move round - a bonus! Wearer is delighted and would highly recommend it. 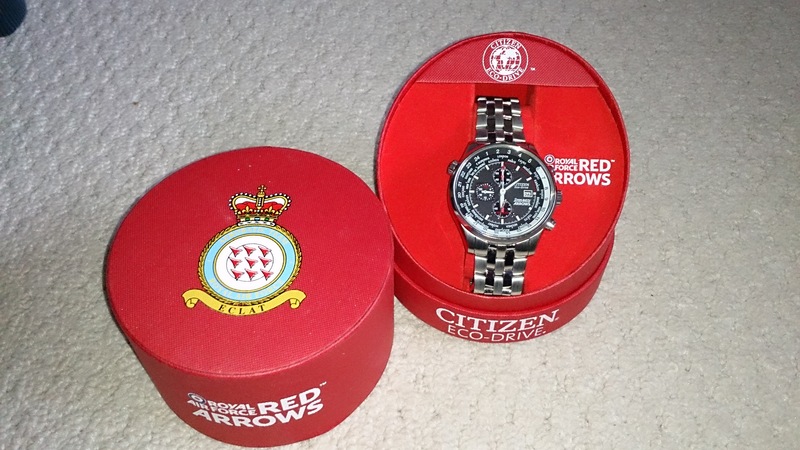 I bought my Red Arrows eco-drive watch on the 21/12/12,looking at it on line it took my eye with the design,the general look of the watch.It was the watch I had been looking for, I had been looking for some time untill I saw Watch Shop on T.V.When I received the watch I was immediatly imprest with the quality it actualy looked more expensive than it actualy was.The black face complements the stainless steel and chrome surround and strap. fantastic watch, never take it off. Design and build is fantastic, thought it was going to have an overally large dial seem to be the norm these days but was pleasently suprised its size is in line with most watches. He likes it very much and appreciated the excellent design! Nice watch and very good value for money. Bought it as a gift for my fiance. The only thing that could be improved is the date display. You need to set the date manually at the end of the month. For example from 29 Feb you need to set it to 1 March. Otherwise it's very nice and comes with a lovely red box which includes a stand and some manuals. I have several watches, all Citizen, they have never let me down although some of them are almost 20 years! This is one in the row wich I very like, big analog dial with a 3 hand chronograph. Reason for buying this watch was the Red Arrows design. I like planes and the Red Arrows in particular, I have seen them many times, my favorite display team! The watch is quite big but feels light on your wrist, a real keeper! Lovely looking watch, came very quickly. The watch face is detailed with dials and timezones for other countries. It looks very sophisticated and is not to bulky. The watch feels of good quality in the hand. Im sure my partner will love it as much as i do! Great watch overall, with a case diameter 42 mm, chronograph, water resistant and a screw-back case. It was running when I received it, just needed to adjust the time and date - very simple to do. It looks great: masculine and robust, but not too bling like bigger cased watches. The metal bracelet is 20mm, at the case and a little thinner downwards (18mm). This makes it more elegant and not that stuffed. A little problem is the date: difficult to read because it's to deep in the case, so you have to focus a little harder to read it. In terms of delivery, I ordered it on 10th Oct and received it on 18th, delivered by UPS. Quite a long time to wait for it in my opinion, but it worth it. I'm quite happy with the watch. Buy it and you'll love it. A really nice looking watch, looks alot more expensive than it actually costs, Another excellent watch by Citizen, with Eco drive so no need to worry about the battery. Watch arrived very quickly after ordering thanks to Watchshop's efficient processing service. The watch itself is very stylish, looks more expensive than the £ RRP suggests, comes in a nice presentation box, easy to set watch up for use & sits on the wrist nicely. Very pleased with my purchase, would certainly recommend this watch. Innovative, technologically advanced, award-winning; Citizen has been an iconic name in watches for years, and for very good reason. Citizen has been voted Watch Brand of the Year four years in a row, thanks to the range's durability, reliability and exclusive technology. Many of the Citizen watches include Eco Drive technology, which means the timepieces are powered by light. 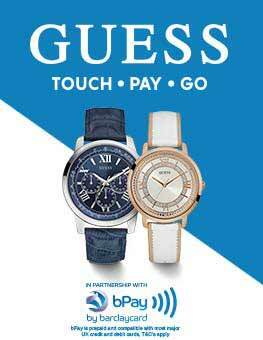 With watches available for him and her, everyone can have the pleasure of owning a legendary watch. Many of the pieces feature complex timekeeping options, allowing you to track your time right to the millisecond - and it's always extremely accurate. Elsewhere in the range, delicate women's pieces feature diamond-encrusted faces for a glamourous style, while men's dress watches are sleek, modern and fashionable. Citizen watches are a jewel in the crown of any watch collection. 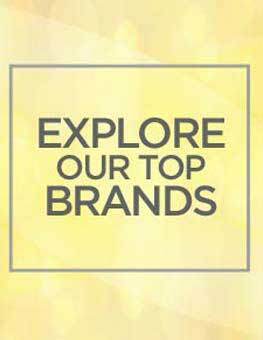 Find the perfect piece for you by browsing the full range. 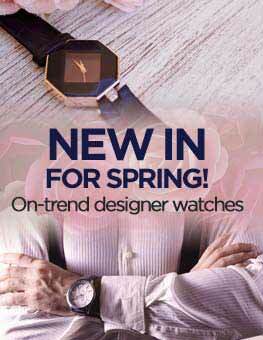 Watch Shop is an authorised Citizen stockist. Sign up to receive email updates when new styles of Citizen are added to Watch Shop!